With all the trees here in Maryland, you would think that Fall would be spectacular. Well, it depends on the weather and the amount of rainfall. There are some beautiful trees, but here we are in November and the leaves on most of the trees have yet to turn at all. 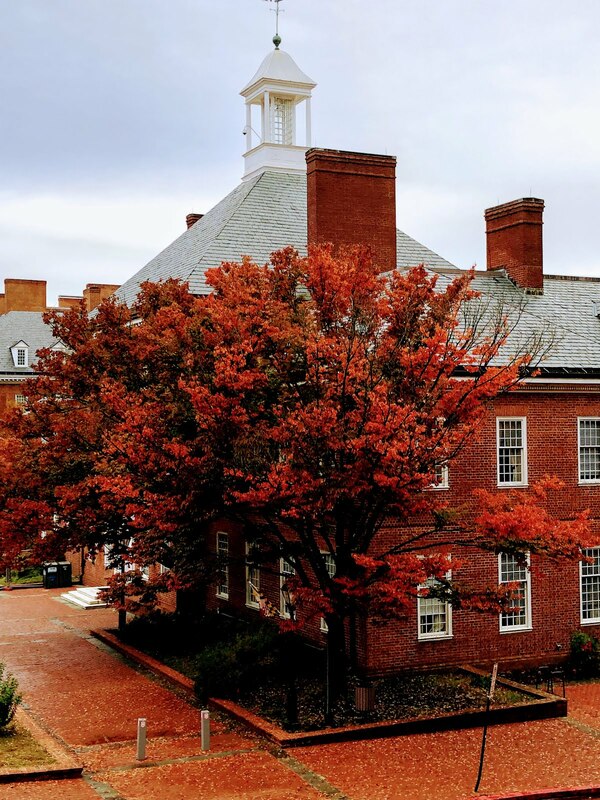 This image is a particularly colorful area of government buildings near the historic State House in downtown Annapolis, Maryland. Arizona and Utah are big states and there is a lot of room to walk. As I walk I like to think. This site is an insight into some of those thoughts during my many years and hundreds, maybe thousands, of miles of walking Arizona and now, Utah. As I walk, I generally take photographs. I hope you enjoy what you see here on this site. If you do, consider becoming a Follower and recommending this site to your friends. This site features almost exclusively my original photographs. Click on the photos and increase the size of the viewing window, to view them in a larger format. My photography business is PhotoArizona360 part of Bookmark Graphics. Enjoy the photos. You can assume that unless I give credit, the photos were all taken by me. I am incorporating my photographs from all over the United States and other parts of the world, not just from Arizona and Utah. Visit PhotoArizona360's profile on Pinterest.